Lip problems can be a common enemy of many people, and can cause a lot of mental strife and self-confidence issues down the line. To make sure that you look the best that you can, you want to make sure that you have quality lips that suit your face and have the right profile and form to fit your face properly. Lip enhancements surgery is carried out in a variety of ways, giving you a chance to have softer, plumper or smoother lips within just one session. Lip enhancements are typically carried out using dermal fillers, or lip fillers, and have become a hugely popular source of cosmetic surgery up and down the United States. It’s quick, simple, cost-effective and requires absolutely no downtime or recovery time after you have had the lip enhancements carried out. This can help prevent issues such as lipstick bleeding or visible and vertical lip lines. BEAUTIFUL LIPS? MAKE AN APPOINTMENT NOW! Get plumper, softer and smoother lips in just one session! We take care of you. What Causes Lip Enhancements To Be Necessary? Typically, lip enhancements are a cosmetic decision and tend to rarely be made through medical insistence. It’s usually a choice made by those who want to improve their overall appearance without ever getting yourself too deep into the surgical side of things, or by taking things too far cosmetically. 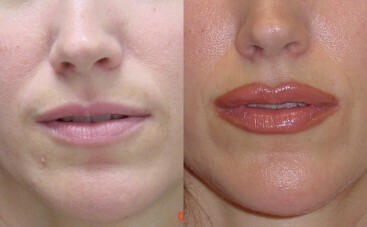 Lip enhancements, though, could be seen as necessary if you take extremely poor care of your lips. They can become damaged and look far worse than they should, prompting suggestions that surgery might be the best solution to correct the problems using dermal fillers. As one of the most prominent sections of our face, our lips can be a source of great emotional pain for those who suffer from large or disfigured lips. To correct these problems, a simple treatment appointment can be set up with Dr. Shalhub M.D to provide you with long-term assistance in making your lips look much better. By using dermal fillers, at Dr. Shalhub M.D we can make your face look far more comfortable than it does at the moment. We’ll go through a consultation process with you first to make sure that you feel totally comfortable with the decisions that are being made. This means that if you opt to have the procedure carried out straight away, we can arrange an appointment as soon as possible. Due to the lack of downtime needed to recover, we can usually make quick appointments that can easily be fitted around your normal working day.